Refusing to use any Facebook analytics, Like buttons and other tracking scripts. The reasons for this are mostly because I consider the behaviour of Facebook and its management in recent times to be highly ethically questionable. Facebook’s privacy scandals and general disrespect for their user’s data is not something I want to be associated with, nor encouraging. So, for me, it’s time to leave. Please note that I don’t hold bad feelings towards anyone who continues to use Facebook. This is a personal decision. Obviously Facebook provides a useful service for many and not everyone can just up and leave. I was never a big Facebook user so for me it was a pretty easy decision. How will Cantabile Users be Affected? If you use Facebook as your login method for the Cantabile Community forum pages, you’ll need to reset your password in order to continue to use the forum. I’ve posted instructions on how to do this here. I’ll no longer be available to give support via Facebook. If you need help, there are other ways to reach me. I’m still thinking about other ways to provide updates similar to what I used to post on Facebook. I’m not exactly sure what form that will take yet, but stay tuned. 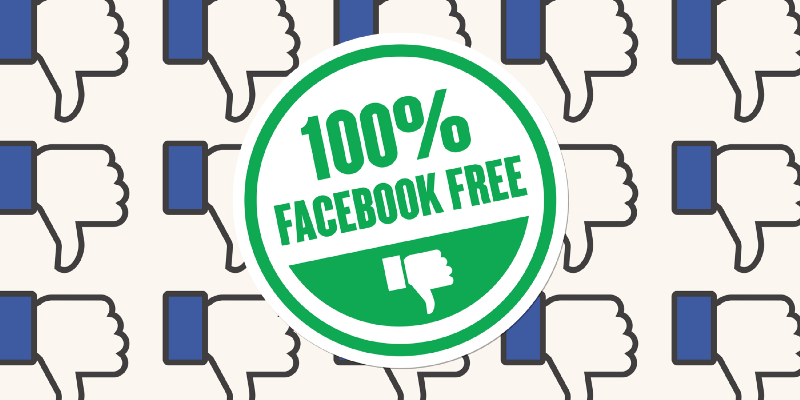 Cantabile is now Facebook free business.